The consumer release of the Samsung Gear VR has unleashed the power of immersive smartphone-based reality on consumers and businesses. We’re celebrating with a new and improved release of Matterport VR Showcase, available for download now in the Oculus™ Store. With this update, anyone can browse our public gallery of unique and interesting Matterport Spaces, right on their own Gear VR. Major brands are already using virtual reality to connect with their audiences and improve their business processes. We’re excited to be part of this growing platform to demonstrate the possibilities of virtual reality as a powerful business tool. Download Matterport VR Showcase today, and read on to discover some of our biggest improvements. Our all-new in-app Matterport Gallery lets any user browse from a large selection of public Spaces in six categories, from Arts & Entertainment to Travel and beyond! The Gallery is filled with amazing Spaces to explore from all around the globe, available for downloading directly to your phone. Options Menu that allows users to modify view settings. You can activate or deactivate monoscopic view (which can produce a more comfortable, but less dimensional, experience for some users). You can also activate and deactivate dynamic transitions. Help Menu with a guide to app controls and navigation. With this update, we’ve removed restrictions on how many Spaces can be loaded onto a single device. Users can now load more than 12 Spaces, limited only by the device memory. Spaces have also been re-engineered for 70% smaller file sizes. 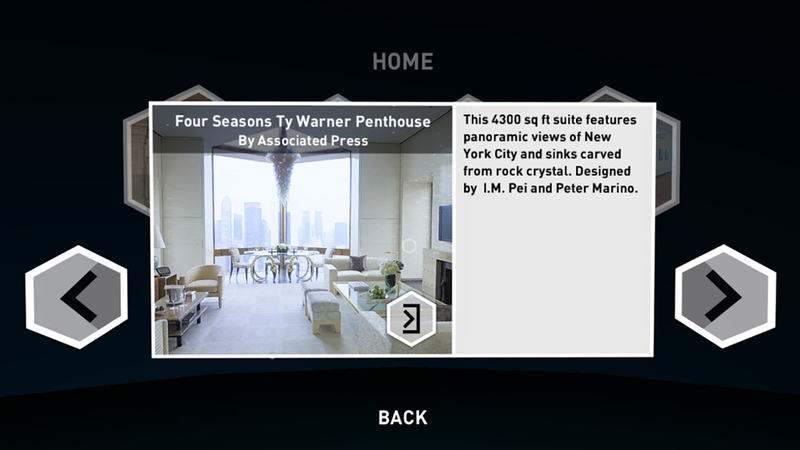 Matterport VR Showcase now supports Space descriptions, in addition to titles and subtitles, for each VR Space. With new, smaller file sizes, it’s fast and easy to discover and explore new VR Spaces. We are building a world of virtual content to populate the virtual reality universe, and we can’t wait for you to explore it on the Gear VR. We will continually refresh the Gallery, so be sure to check back often! See VR system requirements here.